Clams, mussels, shrimp, calamari, and half a Maine lobster in tomato, white wine and garlic broth. 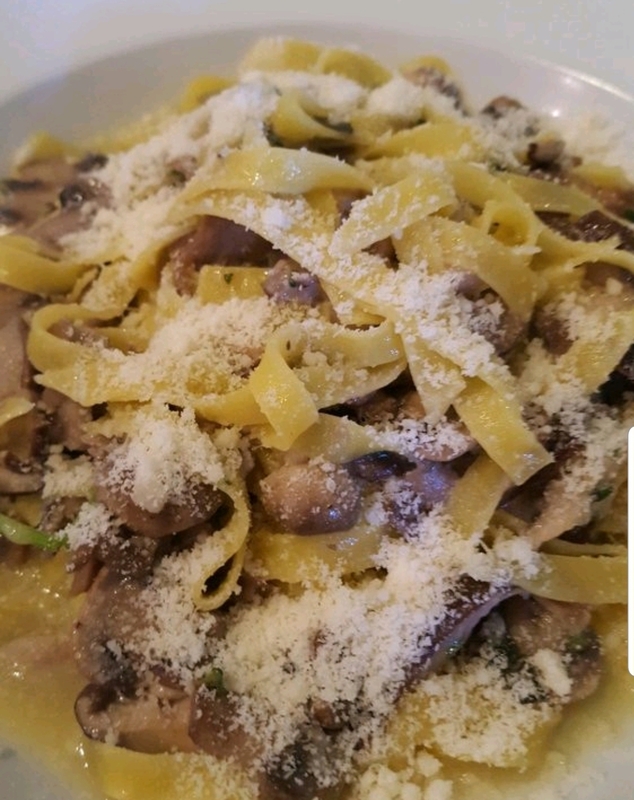 Homestyle egg fettuccine with shiitake, portobello and oyster mushrooms in a white wine sauce. Vegetarian. Tomato sauce, mozzarella, and seasoned chicken sausage. White pizza with mozzarella topped with prosciutto ham, arugula and shaved Parmesan. Caesar salad with romaine shaved grana padano parmesan and rosemary croutons. Tomato sauce, softburrata mozzarella and basil. Vegetarian. Arugula radicchio and endive with shaved parmesan and balsamic dressing. Tomato sauce, mozzarella, smoked chicken, spinach and goat cheese. 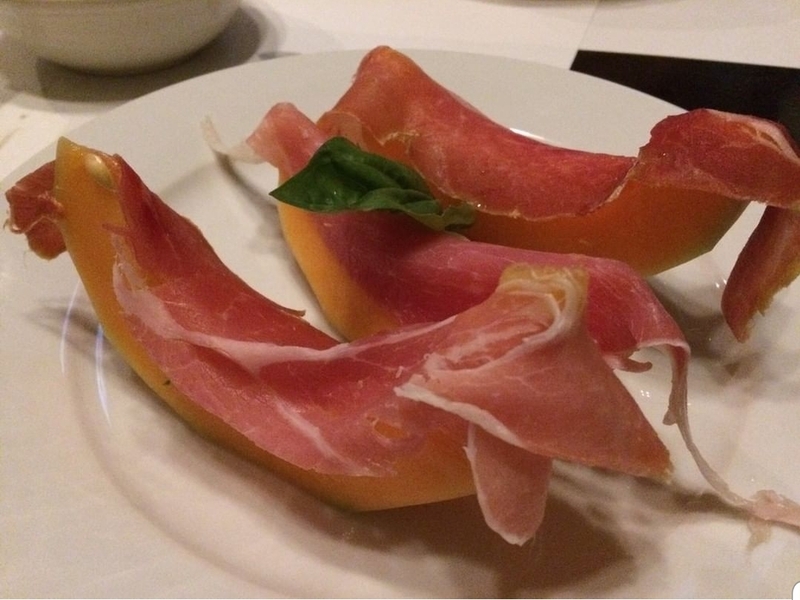 Original Italian Parma ham, thinly sliced with melon. Soft rich buffalo mozzarella cheese served with arugula, tomato and basil. Ciliegine buffalo mozzarella, tomatoes, and basil on baby greens. 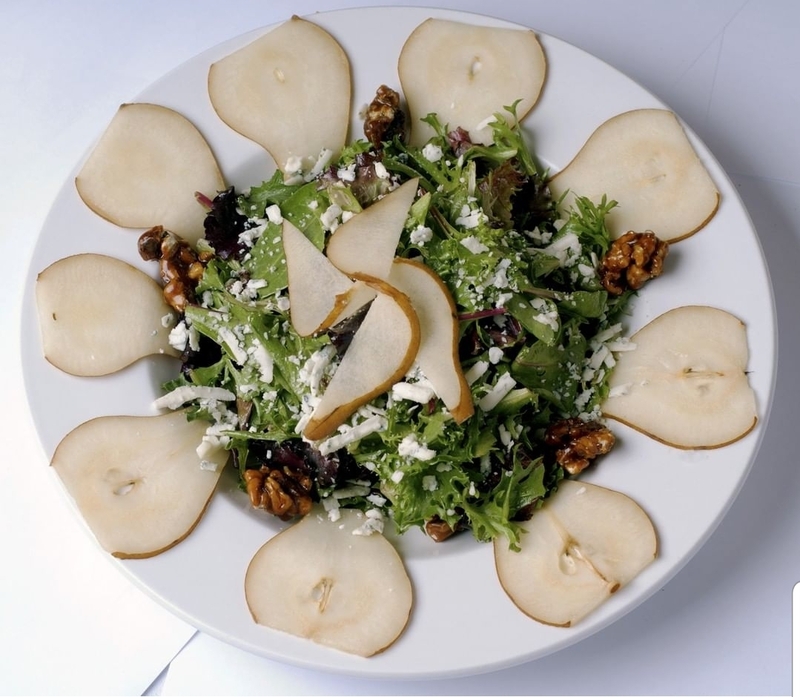 Baby greens, pear, Gorgonzola, walnuts and honey balsamic vinaigrette. Baby arugula, shaved grana padano parmesan, extra virgin olive oil, and balsamic vinegar. Mixed Salad with Carrots and Tomatoes. Chopped salad with romaine, broccoli, marinated tomatoes, white beans, soft mozzarella, balsamic dressing, 6 pieces freshly grilled jumbo shrimp. Thinly sliced baby artichokes, lemon dressing, shaved Parmesan, and walnuts (no lettuce). Baby spinach, bacon, walnuts and warm goat cheese with honey balsamic dressing. Tomato, Basil and Garlic Soup. Cannellini Bean and Pasta Soup. Pureed Broccoli, Vegetarian, Dairy Free. Tomato sauce, mozzarella, ham, mushrooms, black olives, and artichokes. Classic cheese or create your own pizza. 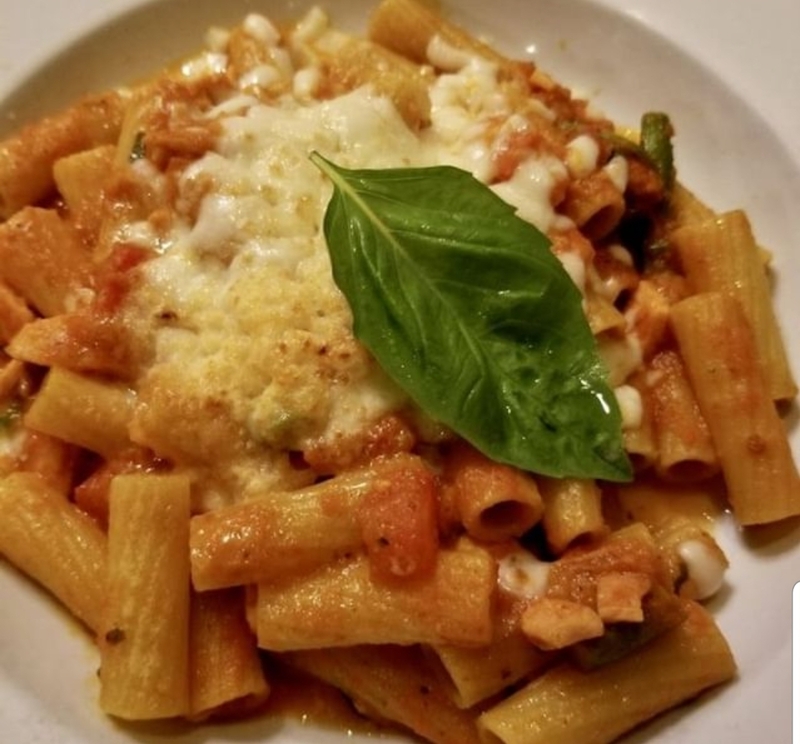 Tomato sauce, mozzarella included. Fresh imported European sea bass, baked whole with rosemary, garlic, lemon and olive oil. Served with vegetables and roasted potatoes. Will De-bone upon request. 9-10 oz. 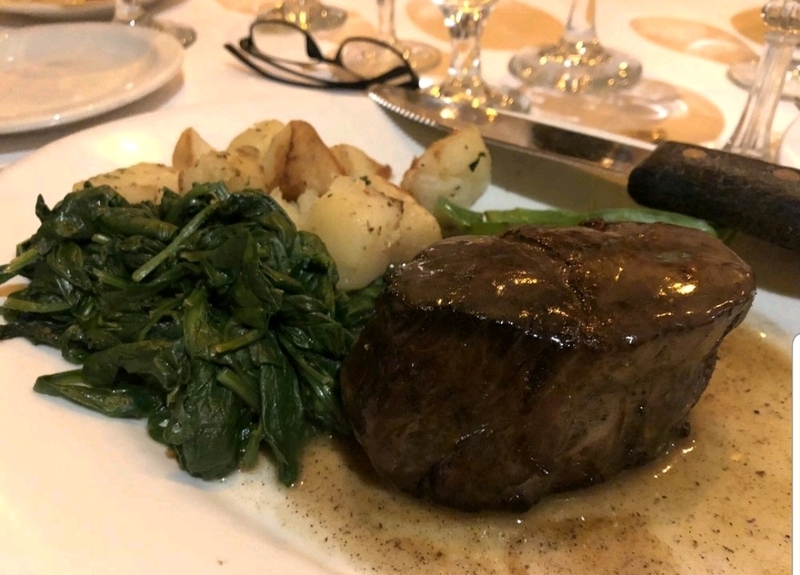 grilled filet mignon with Amarone wine sauce. Served with vegetables and roasted potatoes. Please specify steak doneness. Filet of fresh Whitefish, grilled and topped with Shiitake mushroom and Chardonnay lemon sauce. Served with vegetables and roasted potatoes. Lamb shank, braised with vegetables, and red wine, potatoes of the day, and broccoli. 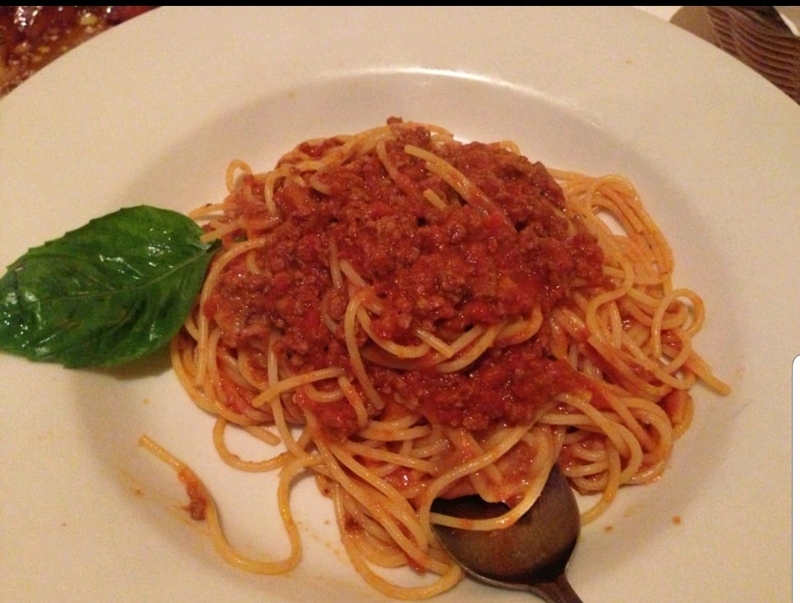 Capellini with Tomato and Basil Sauce or Fresh Diced tomatoes ”Checca”. Vegetarian. 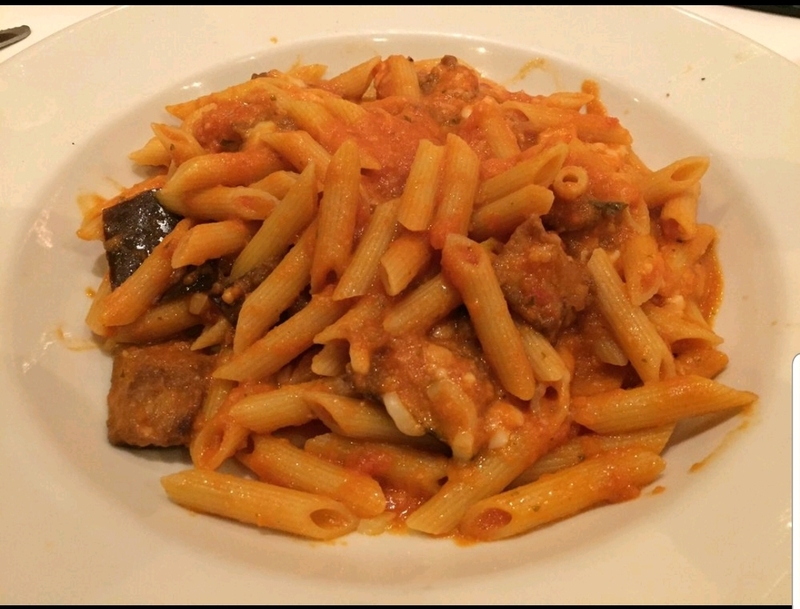 Penne with sauteed eggplant, tomato sauce, and melted mozzarella. Vegetarian. Homemade wide flat noodles with filet of fresh roasted tomato. 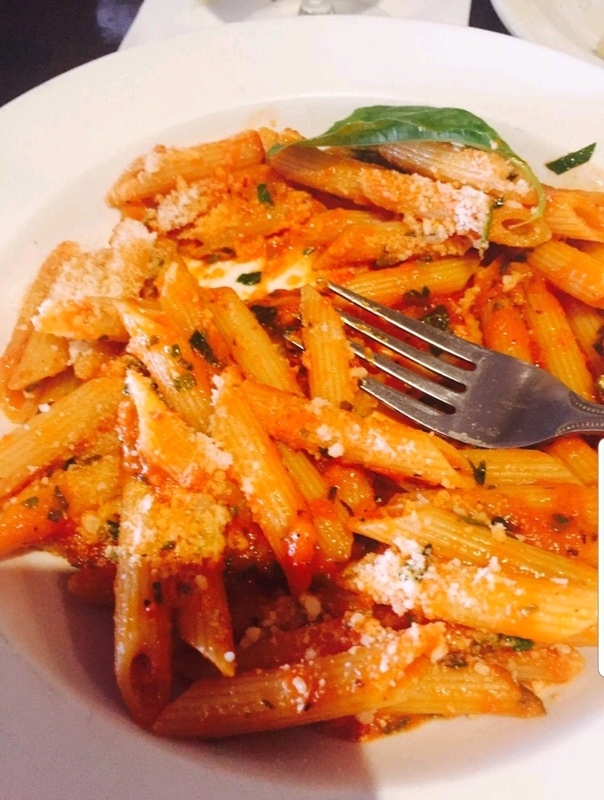 Penne with chicken sausage, roasted pine nuts and sun dried tomatoes in a red sauce. Home-style with soft, green spinach pasta, beef ragout, and Bechamel sauce. Spaghetti with meatballs, over meat ragu. Homemade potato dumplings with meat ragout. Vegetarian. 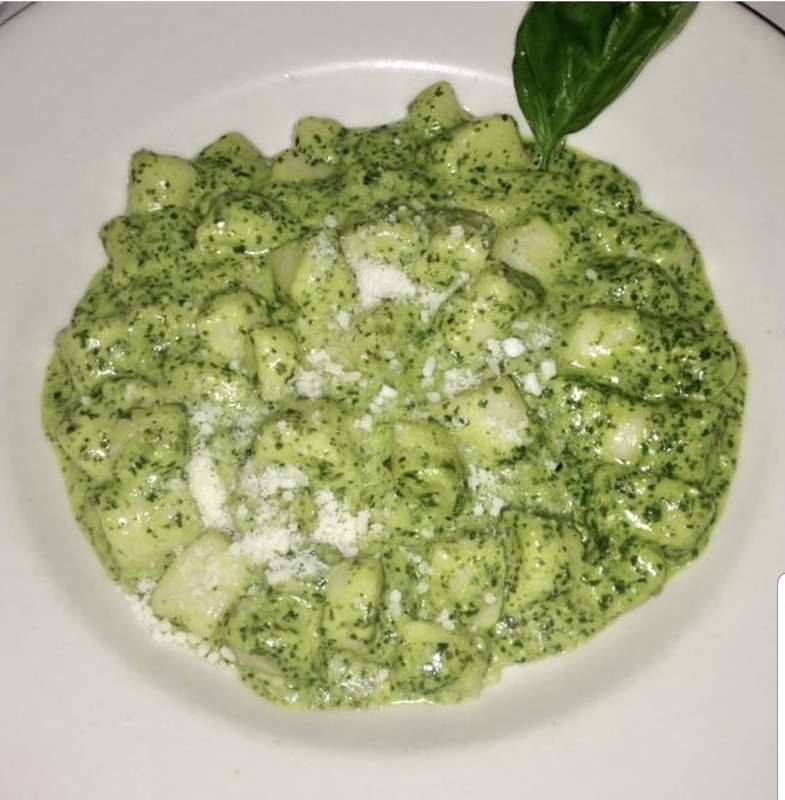 Homemade potato dumplings, pesto sauce, with a splash of cream. 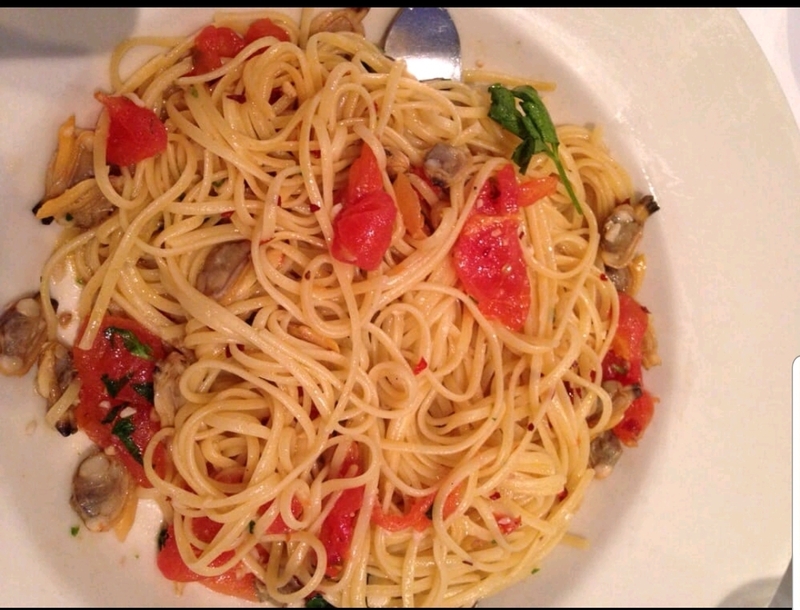 With manila clams in a light chardonnay, diced tomato, and garlic sauce. 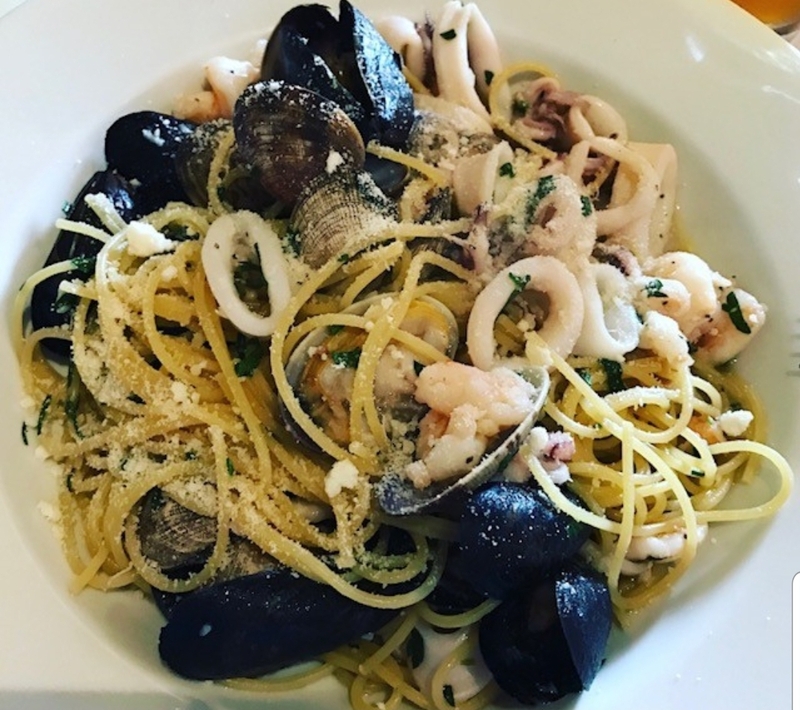 Shrimp, calamari, mussels, and clams in a spicy tomato sauce. Vegetarian. 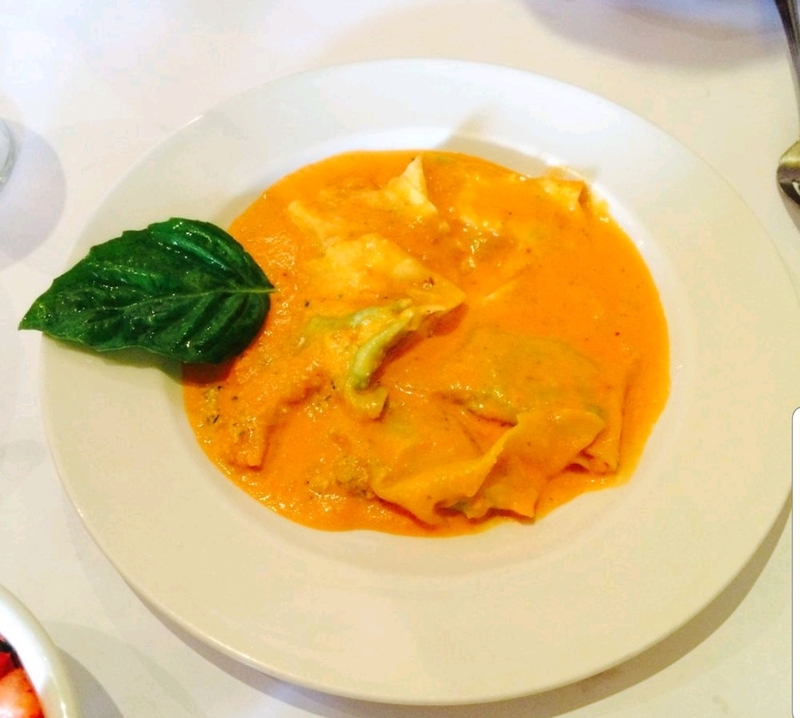 Homemade ravioli filled with ricotta & spinach in a light pink sauce. Vegetarian. 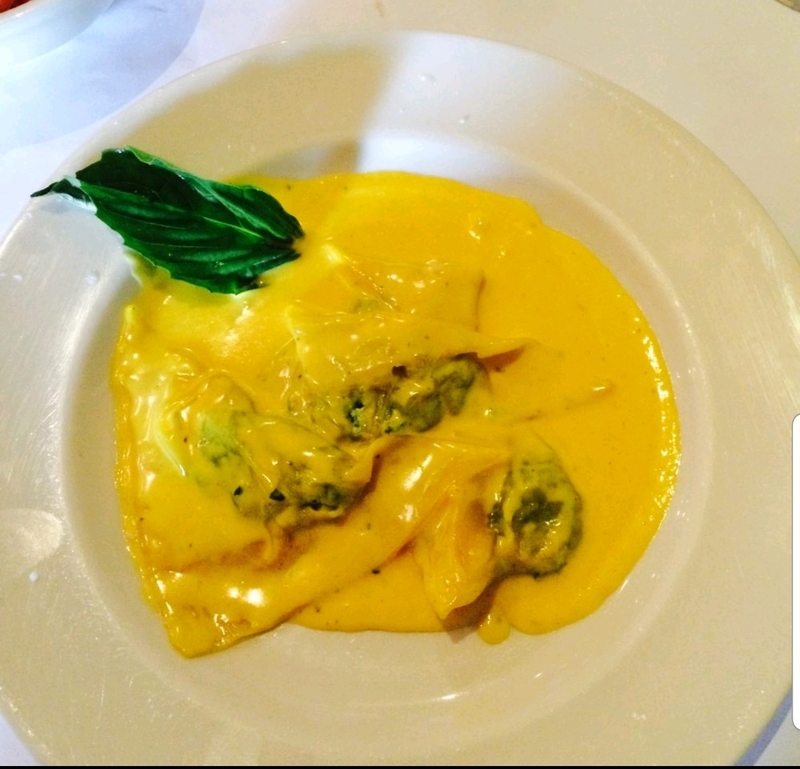 Homemade ravioli filled with ricotta and spinach in a creamy saffron sage sauce. Homemade ravioli filled with roasted chicken in a spicy tomato sauce. With shiitake, portobello, oyster mushrooms, and chicken sausage. 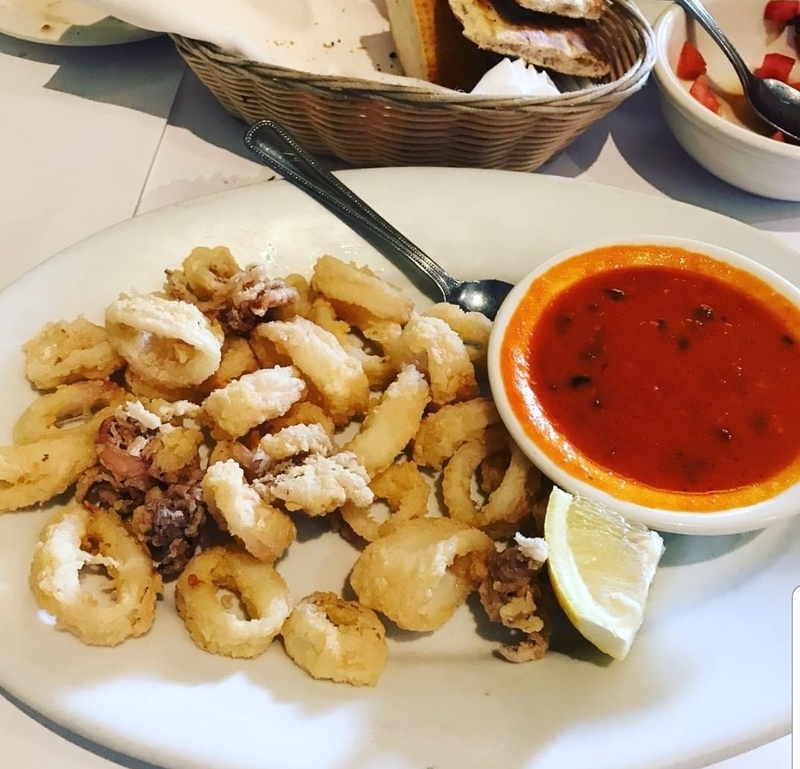 Served with clams, mussels, calamari, and shrimp, with a light tomato sauce. 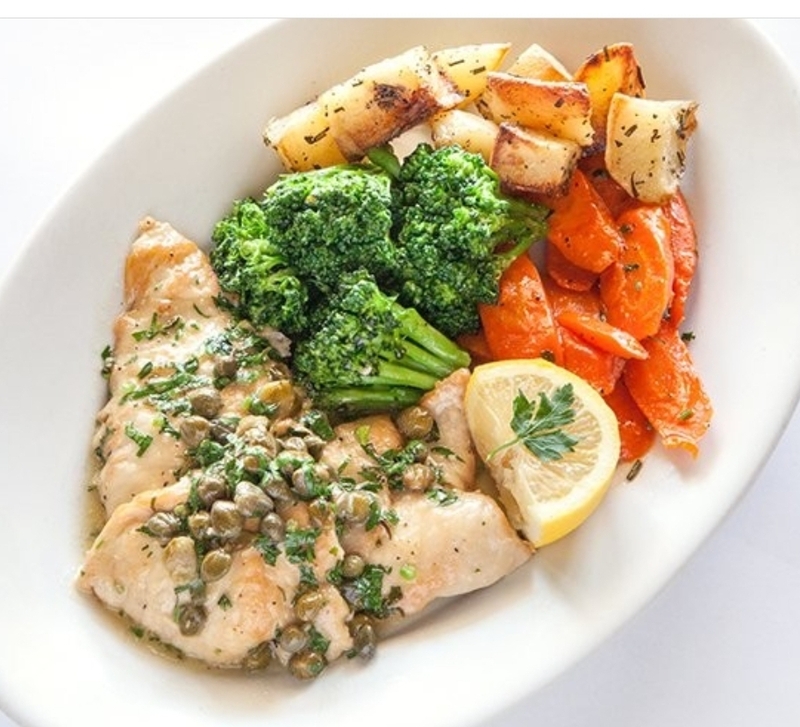 Chicken breast sauteed with lemon and caper sauce. Served with vegetables and roasted potatoes. 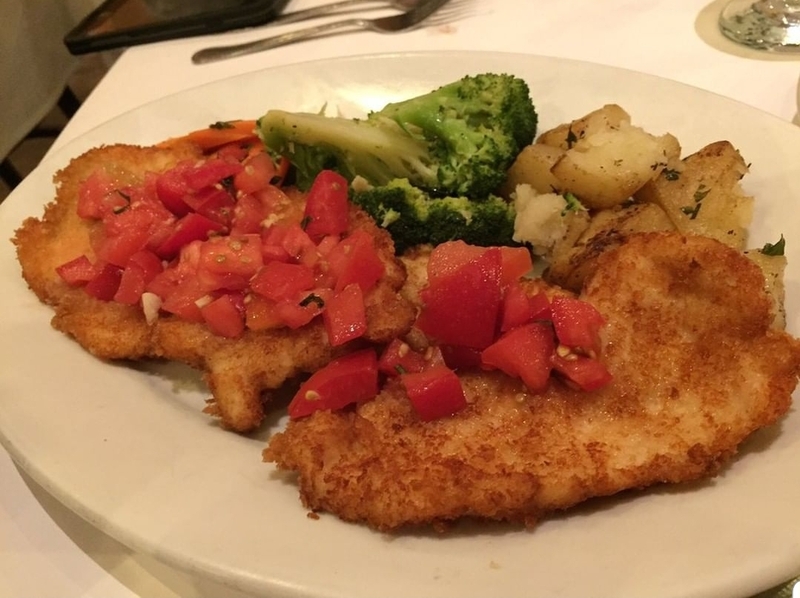 Breaded chicken with checca. 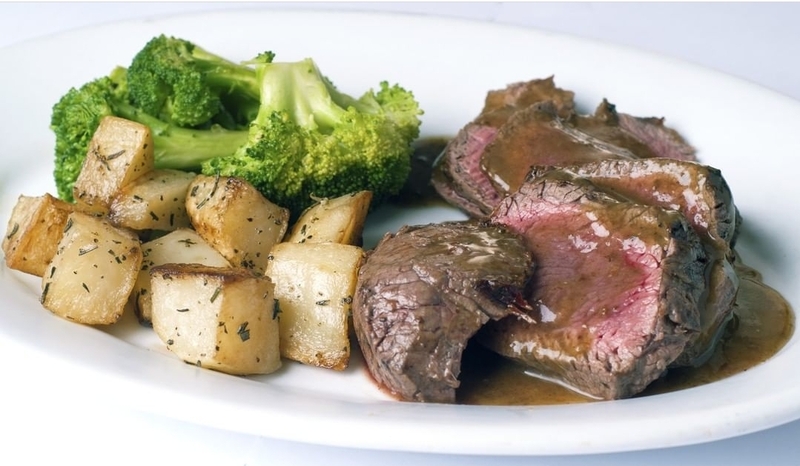 Served with vegetables and roasted potatoes. 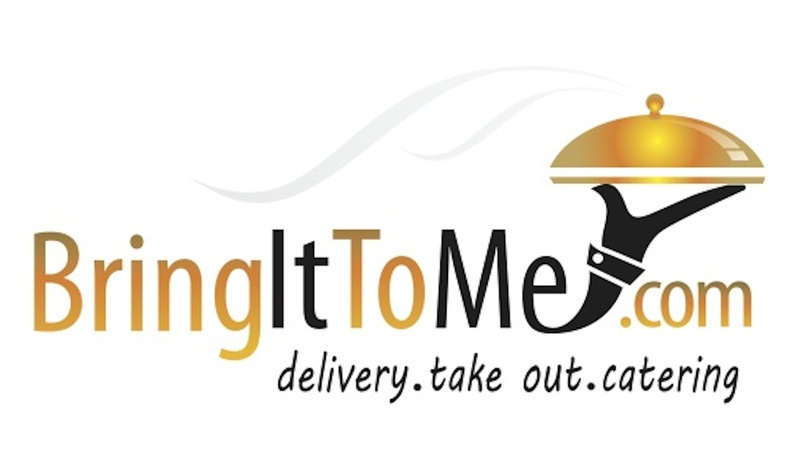 Breast of chicken pounded and grilled with rosemary, sauteed spinach, grilled eggplant and roasted Roma tomatoes. De-boned half chicken, BBQ Tuscan style. Served with vegetables and roasted potatoes. Thinly pounded veal with wild mushrooms and marsala wine sauce. Served with vegetables and roasted potatoes. Baby rack of lamb chops, with a thyme-mustard sauce. Served with vegetables and roasted potatoes. Please specify lamb doneness. Grilled your way and served with vegetables and roasted potatoes. Please specify steak doneness. Seared and sliced New York steak over arugula salad and shaved parmesan cheese. Please specify steak doneness. 12 pieces BBQ, peeled jumbo shrimp, drizzled with lemon, garlic, and olive oil. Served over arugula. Grilled salmon on a bed of lentils served with vegetables and roasted potatoes. Sicilian eggplant parmigiana baked with tomato, basil, and melted mozzarella. Sautéed with Extra Virgin Olive Oil and Garlic. with Rosemary, Garlic and Extra Virgin Olive Oil. Side of Steamed Asparagus, Lemon and Extra Virgin Olive Oil. 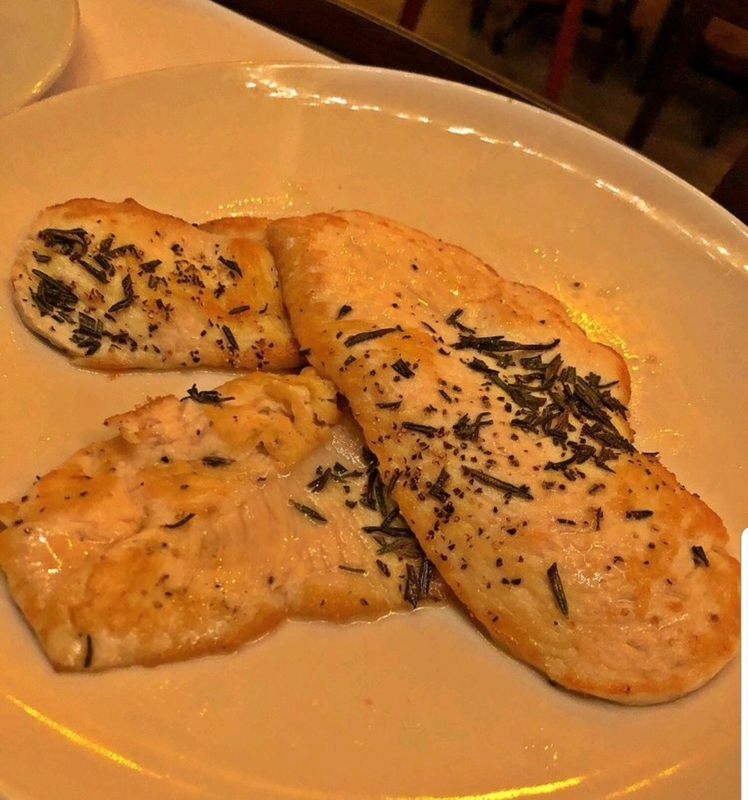 Freshly Grilled Chicken Breast with Rosemary and Garlic.